Sooo as you may know this winter will be pretty exciting at ProKite Alby Rondina, since we decided to stay OPEN ALL YEAR. Weather statistics and reasons why to come visit us during winter period were mentioned in our other article so feel free to check it out 🙂 To give you even more reason to skip your ski holiday, we created couple of 1 week packages (days could be extended) for period 7 NOVEMBER – 28 FEBRUARY that will fit everybody’s needs! Fly in with your own gear and enjoy freedom of kiteboarding 🙂 If you wish to come with bigger group and some of you want to take lessons or rent equipment, just write us an email at [email protected] and we gonna reply you with an package offer that will suit your needs! Package includes accommodation for 7 days (can be extended for 40eur/day or 35eur/day for 2 persons), free upgrade to comfort room if available during check-in and kite storage + beach use for 7 days. Save on boardbag cost and airport hustle and rent equipment from us! We have full range of brand new 2018 Cabrinha kites & boards and rental comes with included gear insurance, so just worry about getting them tricks down! Package includes accommodation for 7 days (can be extended for 40eur/day or 35eur/day for 2 persons), free upgrade to comfort room if available during check-in and Open Kite Rental (you can choose your rental days) for 3 days, extra day can be added for 70eur. 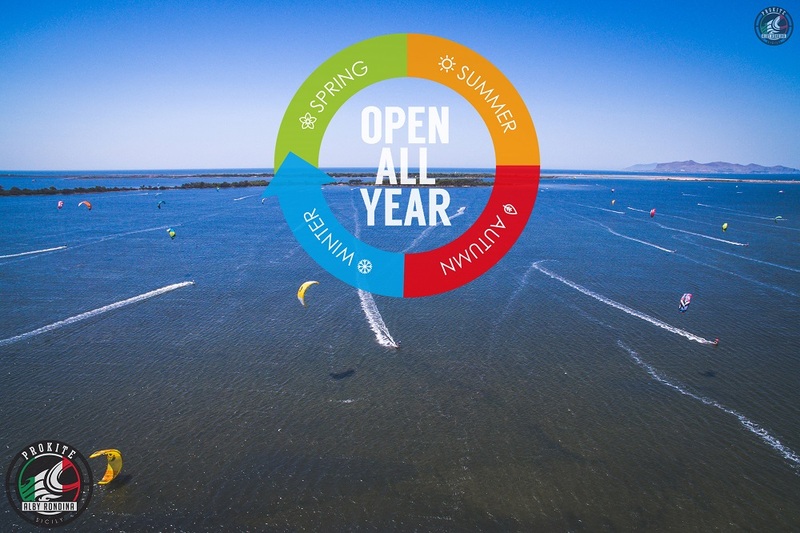 Take advantage of spacious Lo Stagnone flat & shallow lagoon and make your dream come true by learning kitesurfing! After 6h beginner course (usually split in 3 days with 2h lessons each) you should be able to make your first rides! After that you can either take more lessons or rental with discounted price. 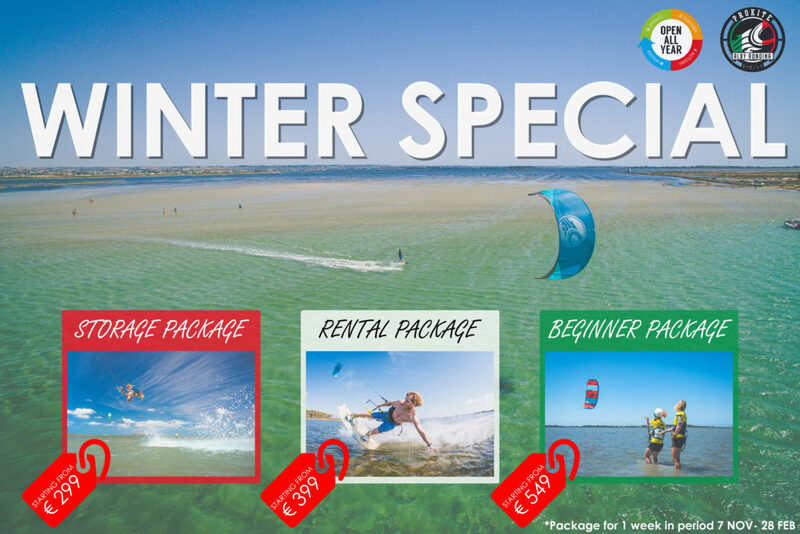 Package includes accommodation for 7 days (can be extended for 40eur/day or 35eur/day for 2 persons), free upgrade to comfort room if available during check-in and 6h Kite Course (additional 2h lesson is 100eur). We are looking forward to see you this winter! For more info or booking please SEND US REQUEST!